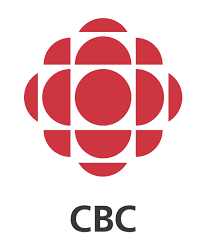 Alan Kearns, Canada’s career coach, provides regular commentary on career issues to a number of different news organizations including, CBC radio, Canada AM, Breakfast Television, The Toronto Star, The National Post , The Globe and Mail as well as a numerous magazines and online blogs. He has a very popular podcast; CareerJoy Conversations. He is an expert on career management from a uniquely Canadian perspective. Alan is the author of Get the Right Job; Right Now! published by HarperCollins. It can take some effort to ensure your time of rest and relaxation is actually filled with rest and relaxation. Career coach Alan Kearns, founder of CareerJoy, suggests giving references a description of the position you’ve applied for, as well as the hiring employer’s particular concerns. Living wage not achievable for all jobs in B.C. The Canadian Centre for Policy Alternatives says the average hourly wage two working parents would need to make to cover the basic costs of living in B.C. has decreased — by four cents — to $20.64 an hour. But, as Alan Kearns, founder of career counselling company Career Joy knows, not every job in the province is going to pay that much. The rise of mobile media, electronic submission forms and online applications means it’s never been easier to apply for jobs. That’s all well and good, but on the hiring manager’s end, it means an overwhelming volume of resumes to sort through. “We have this thing where it’s who you know. Well, actually, I say it’s who knows you,” says Alan Kearns, founder of CareerJoy in Toronto. GLOBAL NEWS – It’s not enough to sit behind a computer and apply to jobs online. CALGARY – Tens of thousands of people who have lost their jobs in Alberta’s oil-and-gas sector are confronting a rapidly changing job market. Not only has competition become fierce for the few jobs available, but the way people find and get those jobs is also changing, says Alan Kearns, founder of career firm Careerjoy. “Now it’s about marketing yourself more than it is about just sending out resumes,” said Kearns. Job seekers need to think of themselves as independent business people trading on their skills, just like an actor or an athlete, he said. “The difference between getting an interview and not — a lot of it is going to be branding,” Kearns added. CALGARY HERALD – A tough week in the Canadian oil patch continued Wednesday, as ConocoPhillips Co. became the latest in a string of oil companies to lay off staff. The Houston-based energy major trimmed its Canadian headcount by 7% or about 200 employees. Alan Kearns, president and founder of Calgary-based CareerJoy, said his firm had been approached by a number of energy-sector companies looking for assistance in letting staff go. “This entire year will be like this,” Mr. Kearns said in an interview. He said if oil and gas production companies are cutting jobs, then the engineering firms, construction and oilfield services companies that support the producers are likely to follow suit. Imagine you’re one of the many candidates who tried and failed to win a seat during the Ontario election. Former candidates and those who help them decide where to go next say there are a few things to remember about post-campaign life, no matter what career path you decide to take. 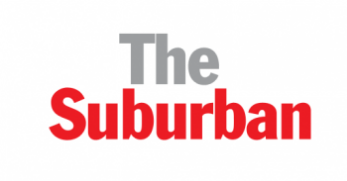 Global News Toronto – Dating on the job and how to make it work. Expert Panel regarding the current state of work & employment in Canada. Former National Hockey League player Sean Pronger had many coaches during his 11-year professional career. But when he decided to hang up his skates seven years ago, he turned to career coach Alan Kearns to help him figure out what to do next…. 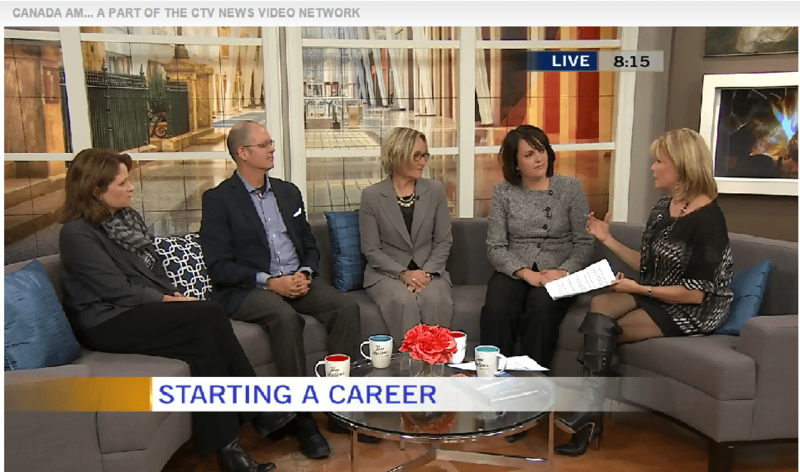 Dubbed as ‘Canada’s Career Coach’ and the founder of ‘Career Joy’, Alan Kearns tells us what jobs are in demand for today’s university students. According to a recent survey of what jobs are in demand, and what students are studying in university, many, if not most, of today’s university students are spending a lot of money to get themselves a university degree that will prove essentially useless to them the instant they graduate. CareerJoy is the career expert team for the Million Dollar Neighbourhood – a new reality Show on the Oprah Network. Watch online. Nancy MacCready-Williams was a newly minted executive with the Workers’ Compensation Board of Nova Scotia when she chaired a meeting on a new initiative the organization was evaluating. weighed in with her opinion. It didn’t go over the way she thought it would. Even with years of management experience in manufacturing operations, logistics and industrial engineering, Andrew Avgousti wasn’t sure how easy it would be to jump from the automotive industry – where he had worked since 1990, right out of university – to something different. But he had a powerful lever in his job-hunting tool kit: a select group of former bosses, peers and colleagues willing to vouch for his work performance and personal character. “I had one day to sulk about it,” says Steve Zolis, of his downsized job, “before I had to get off my duff.” Zolis, 33, was laid off last summer from his job as marketing manager for a large camera retailer. “When I talk about stress, I mean it. I had just begun an eight-week renovation on a new house, and we were two weeks away from having our second child.” Zolis’s experience is shared by recession-endangered employees across Canada, and around the world. Layoffs and corporate change are the new professional stressors, trumping workload and staff conflict. Is honesty really the best policy when it means complaining to your boss? As official probes into actions by Goldman Sachs and other major banks zero in on decisions and processes at all levels of an organization, finance professionals need to think harder than ever about when and how to speak up if something is bothering them. The rules of the game have changed, observes Alan Kearns, founder of Toronto-based coaching firm Career Joy, whose clients include many investment bankers and financial planners. “The most problematic areas now are not technical issues but moral or ethical choices,” Kearns says. Nancy MacCready-Williams was a newly minted executive with the Workers’ Compensation Board of Nova Scotia when she chaired a meeting on a new initiative the organization was evaluating. Moments after the meeting started, Ms. MacCready-Williams quickly weighed in with her opinion. It didn’t go over the way she thought it would. As the room cleared out after the meeting, a subordinate took her aside, and asked her to consider “toning down the passion.” The employee told Ms. MacCready-Williams, now president and chief executive officer of the workplace injury insurance provider, that her enthusiasm and energy could be intimidating to some employees. It’s not the distinction she was going for, but Meryl Streep was forced to accept it. At this weekend’s Academy Awards, the star of Julie and Julia smiled through all the gentle ribbing about how she’s been nominated for an Oscar 16 times, which makes her the most-nominated actor in history. The problem: While co-stars, directors and critics can’t compliment her enough, she’s only nabbed the award twice – the last time for the 1982 film Sophie’s Choice. Such snubbing isn’t exclusive to Hollywood – “Streep Syndrome” is common in the workplace, too. Picture an office where you’re surrounded by decent human beings. Your co-workers share responsibility in good times and bad. They listen, they co-operate, they keep the office kitchen clean. Sound much like your office? Not likely. Nearly three-quarters of us face rudeness and condescension at work, researchers at the University of Illinois say. Jerks lurk behind the cubicle walls of every office. ash to pay for it?” No, this is not the script you’ll want to follow when requesting time off to do an MBA—especially not when your approach could determine whether you’ve got a job waiting for you when you get back. Alan Kearns, the founder of national career coaching firm CareerJoy, offers five steps to getting the go-ahead. Susan has learned that seniority, a good work ethic and kind colleagues are no match for the layoff axe sharpened by the current financial crisis. In July, after nearly 14 years with a Toronto card stock and paper company, the financial controller and two others were told that by mid-October their jobs would be history. When the bell rings, dozens of strangers pair off and size each other up. They shake hands and start talking about life goals, past experiences and future dreams. . . This is speed mentoring, the new way to jump-start your destiny. “I’m unemployed.” Few job seekers choose to shout it from the rooftops. But actress Kristin Chenoweth boldly announced her status Sunday as she accepted an Emmy for her role in the cancelled ABC series Pushing Daisies. Peter Robinson is learning to deal with a new bottom line. As the chief executive officer of Mountain Equipment Co-op, he found success relatively easy to measure. But since leaving the company almost two years ago to become CEO of the David Suzuki Foundation, he’s encountered a whole new set of challenges, since progress can’t be measured by profits. Terry Thompson was all set to head out the door to represent his employer at a Toronto job fair last October when his boss walked into his office and handed him a pink slip. The firm was downsizing, and Mr. Thompson’s position as a job developer was among the first to go. The on-line social networking site’s popularity explosion is raising tricky issues in the workplace: how to respond to requests to connect with superiors and peers in a forum created mainly to share personal life outside of work. With the economy slumping and layoffs looming, asking for a raise might seem a more daunting and futile mission than it once was. But that doesn’t mean you shouldn’t try – as long as you make a case that you actually deserve it. You may be in a better position for a raise than you think, says Alan Kearns, career expert and founder of CareerJoy, a career coaching company. 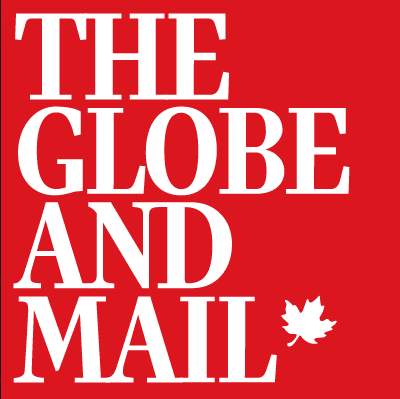 More than one-third of Canadians (35 per cent) admit they’ve sent an e-mail on the company server that could come back to haunt them, even while the same number of people acknowledge that their employer probably checks their account. At a time of gut-wrenching job losses in the manufacturing industry, retailers are hiring like gangbusters. But can those who made solid careers working at auto plants and constructing products on factory floors make a transition to satisfying new careers focused on serving the consumer face-to-face? At the LGBTQ (Lesbian-Gay-Bisexual-Transgendered-Queer) youth group he volunteers with, Blair Croft has noticed an interesting phenomenon: while teens are becoming increasingly confident about their identities, they’re still careful who they come out to — particularly at work. Susan has learned that seniority, a good work ethic and kind colleagues are no match for the layoff axe sharpened by the current financial crisis. In July, after nearly 14 years with a Toronto card stock and paper company, the financial controller and two others were told that by mid-October their jobs would be history. But as she prepared to plow through her lengthy notice period, it wasn’t Susan who expressed anguish at her loss, but a co-worker whose job was spared. When Jeff Morrow returned to Toronto last spring after graduating from Montreal’s McGill University with a bachelor’s degree in music, he figured the best way to find a job in music production would be to use his connections among family and friends. But after a few pleasant chats yielded no job leads, the 23-year-old got frustrated and decided to try a different approach. At busy conferences, it’s easy to feel bogged down by the sheer volume of presentations and people. 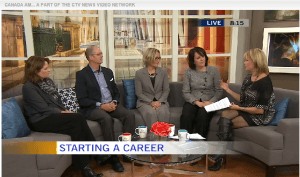 But if you’re strategic, conferences can be great opportunities to expand your career horizons, says Alan Kearns, founder of Toronto career-coaching firm Career Joy. When the bell rings, dozens of strangers pair off and size each other up. They shake hands and start talking about life goals, past experiences and future dreams. Some feel a spark, while others suffer through awkward silences. A few minutes later, the bell clangs again and they move on to the next potentially life-changing stranger. Speed dating? That’s so 2003. This is speed mentoring, the new way to jump-start your destiny. Arriving at the office on his first day as a consultant at PricewaterhouseCoopers LLP, Tom Broen felt he’d been misled. It wasn’t the work or the upper five-figure salary that upset him. But after five years of experience, he thought he was senior enough to qualify for his own desk. Working as an editor at a large media company, Moira Farr learned the ins and outs of office holiday gift swaps the hard way. Participating in a Secret Santa exchange, Ms. Farr decided to let her creative juices flow. So she produced a Martha Stewart recipe-inspired cranberry liqueur, decanted it into a tinted bottle, then proudly bestowed the concoction on a shy junior editor. The fast company has begotten the fast employee. “Staying in one place is a career hindrance. Within a few years, you appear to be a liability,” says Alan Kearns, head coach of Canadian career coaching company CareerJoy. As the former chairman of Shanghai Nortel and vice-president of Nortel Semiconductors, Colbourne had more than enough stock options for a comfortable retirement. After 33 years with Nortel, he didn’t need to work. “Income without leaving your home!” promises one online advertisement. “Achieve and enjoy a lifestyle of wealth and freedom,” guarantees another, promising to teach you how to earn millions while lolling about in your pyjamas all day long. Peter Jensen is a performance psychologist who has worked with Canada’s Olympic athletes for years. While other coaches focus on technical skills, Jensen helps athletes prepare mentally. He helped the Canadian women’s hockey team that won gold medals at the Winter Olympics in Salt Lake City in 2002 and Torino, Italy, in 2006. A rockstar, a princess, a fireman — what did you want to be when you “grew up”? And are you now shredding your guitar to arenas worldwide, donning a jeweled tiara or fighting fire with the best of them? Chances are you’re not. In Good Company, starring Dennis Quaid and Topher Grace, tells the story of an ad executive who gets demoted in a corporate takeover, then learns that his new boss, Carter, is half his age, a business school prodigy with fresh ideas. It’s the latest thing: private career coaching for kids.And Laura Faulkner believes it’s well worth the $695 investment.Ms. Faulkner has spent the past 25 years in the freight boarding business, importing and exporting cargo. Her husband, siblings and in-laws all work in the same field. As Michael Vick situation shows, a key player’s loss can be devastating to the team but there are ways to speed recovery. Alan Kearns, author of Get the Right Job Right Now, talks about what moms or dads returning to the work force need to know. Picture an office where you’re surrounded by decent human beings. Your co-workers share responsibility in good times and bad. They listen, they co-operate, they keep the office kitchen clean. Sound much like your office? Not likely. Leading Canadian universities have long played the prestige card when marketing themselves to potential students. But a new survey suggests holding a degree from a top-tier university influences one’s future success far less than wide-eyed applicants are led to believe. It might feel like a knot in the pit of your stomach or a clenching around your heart. Perhaps you sense your blood pressure rise as you get closer to your office. Maybe the days drag so slowly that when you look at the clock expecting to see the workday’s end, it’s only 2:00 p.m.
One of Ottawa’s best-known headhunters is now a career coach, illustrating how recruiters have adjusted to the high-tech bust. Young women don’t share men’s confidence: study. Focusing on relationships helped this Ottawa recruiting firm grow 400 percent in its first two years. An employee with coveted skills may have no trouble finding a better deal, a better fit or just a fresh challenge. But few have much time to scope out their next moves. ld changes, tech recruiters are changing right along with it. The biggest surprise? In the online era, a talent scout is more important than ever. By treating its clients like their sports superstar counterparts, TalentLab hopes to better represent them. Sports superstars retain agents to negotiate contracts and represent their interests. So why not the same treatment for the new breed of tech superstars? TalentLab, an Ottawa high tech recruiting firm, combines a zeal for business with a determination to make the world a better place. Hilary McLaughlin reports on how it follows both dreams.